As fall begins, the weather is cooling and the holidays are around the corner. 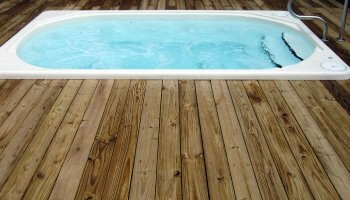 Instead of staying inside, install a hot tub or swim spa in Birmingham, AL to relieve the stress that comes with the holidays. 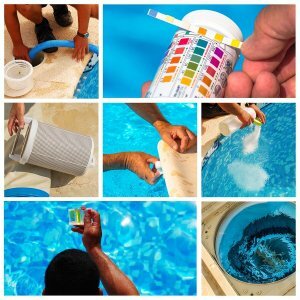 Let’s take a closer look at the benefits you will find after you install your hot tub or swim spa this fall. You can relieve your holiday stress. When you have a long day at work or shopping for the upcoming holidays, and you just want to relax, you may choose to take a hot soak in your bathtub. 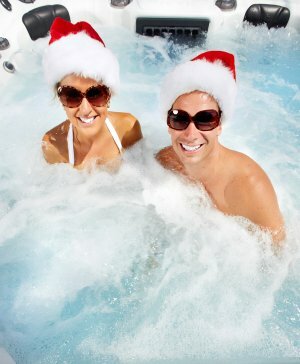 Instead of being stuck in a cramped bathtub, however, you can relieve your stress in your spacious hot tub or swim spa. With the holidays fast approaching, work, shopping, and even driving are likely to become stressful and nerve-wracking. Don’t let these inconveniences and frazzled nerves ruin your time at home. 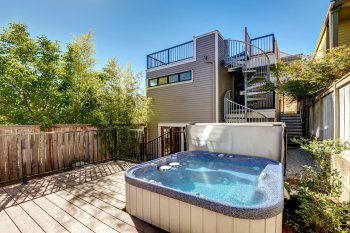 Install a hot tub, complete with electronic connections so you can enjoy music, movies, and so much more while you relax away the holidays. You can ease your aches and pains. 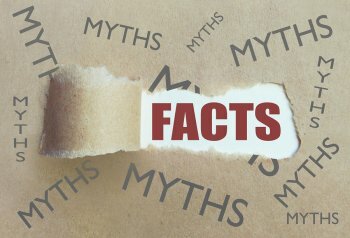 Are you one of the millions of people in the United States who regularly suffers from muscle and joint pain on a daily basis? There are many afflictions that cause chronic aches and pains that may get worse as the weather turns colder. 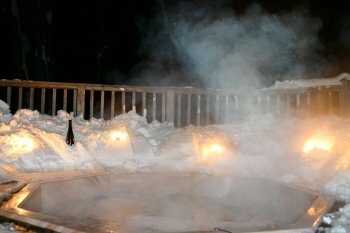 You may find some relief by soaking in the heated waters of your new hot tub. Applying heat is a common recommendation by doctors to relieve aches and pains. 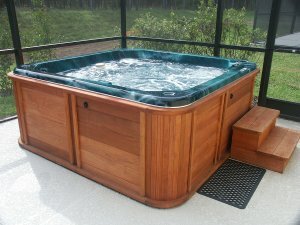 Relax and relieve your pain with the help of your hot tub or swim spa. There are also therapeutic swim spas that offer adjustable jets to target key areas of your body as you need. You can socialize with friends and family. In addition to relieving your stress and pains, you can create a great social space for fall parties. Instead of keeping everyone cooped inside due to the cooling weather, tell your guests to put on their swimsuits and head to the hot tub where they will be warm and have a great time.